Modal window is a pop-up window that opens inside the webpage window and not on a separate new browser window. These are used quite often to draw the attention of the visitor on some specific content, such as, certain alerts, notices, errors or some other information etc. These can also be most commonly seen in image galleries where when you click on a small thumbnail, the larger image pops open. It is a very useful and good technique which can be used in many ways, for instance, to present the login or email sign up boxes in an efficient and attractive way. Mostly, this modal window opens in the center of the page attenuating its other contents so as to gain the total attention of the visitor. Creating a modal window for your webpage is not at all a tough task – thanks to all the jQuery plugins available out there. These plugins help you get a modal window of your own in no time and in a hassle free way. Here we are going to share a collection of 20 Useful jQuery Modal Plugins. You can easily integrate these plugins in your website and create a beautiful modal window of your choice quickly! So check them out! This cool plugin lets you create modal boxes and pop ups displaying depth between popup and page. It is compatible with all the modern browsers. This one is a tiny script that allows displaying a modal window with Mac-styled lightbox effect. It allows creating beautiful and efficient modal windows using which you can display your content in a smooth and effective way. 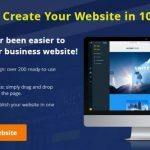 Lightview is a light plugin that allows you to overlay content on your website in a different and attractive way. OmniWindow is a nice modal window plugin which can be customized according to your choice. It is perfect for programmers. It only has 139 lines of code but it very efficient. This plugins allows creating a simple modal window such as alerts or confirm notifications only with a few lines of code. ColorBox is a tiny jQuery plugin for creating modal windows that allows displaying images, grouping, slideshow, Ajax, inline, and iframed content easily and in an eye-catching way. Its look can also be styled according to your choice. This one is a tiny jQuery modal popup plugin which does not allow creating or styling your modal popup but offers features such as centering, modal overlay and events etc. This one is a lightweight and customizable jQuery plugin that allows creating modal windows for showing notices, dialogs etc. It utilizes the jQuery UI Framework for creating and adding style to the modal window, including colors and background etc. This one is a fast, user-friendly and easy to implement modal window plugin. It is quite customizable too. As the name suggests, it is a lean, tiny and flexible plugin that makes creating modal windows with ease possible. This plugin does not support Ajax, iFrame. This one is a really cool plugin as it quite tiny and can be implemented easily and quickly. It is also cross-browser compatible with all the modern browsers. As the name suggests, this plugin allows you to prompt the visitor to your webpage for input but in a very graceful and attractive way. It is a great plugin for showing alerts, prompts, and confirmations. This one is yet another awesome modal window plugin but the thing that makes it different from others is the fact that it is a responsive, touch enabled and mobile optimized plugin. It can be used for displaying a single image/video or the whole gallery! This one is a very efficient plugin which can be customized according to your choice as it boasts various configuration options. It also offers free user support for commercial and non-commercial users alike. One feature that makes it stand out from its rival is the ‘single click feature’ which allows users to scroll down the page or leave it without closing the popup. This plugin lets you present the images, videos and html content etc in a cool Mac-style lightbox that floats on top of the web page. This plugin allows you to create Mac-style lightbox that floats on top of the page and contains content such as images, html content, maps, and videos etc. It is compatible with all the modern browsers. This one is a lightweight and easy to implement lightbox that lets you show images and other content in a nice fluid way. This tiny and flexible jQuery Plugin offers a user-friendly interface that allows creating modal dialogs. Great List – some I’ve never heard of. The plugins is really useful but they are not for free. I’m thinking about try one of them but I’m not sure which one is better.